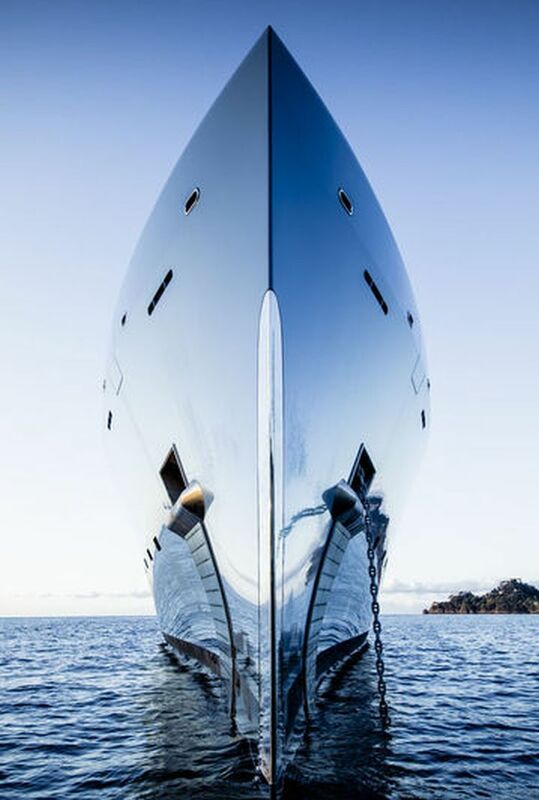 This luxury 98.4 meters long beauty is the 46th longest yacht in the world. 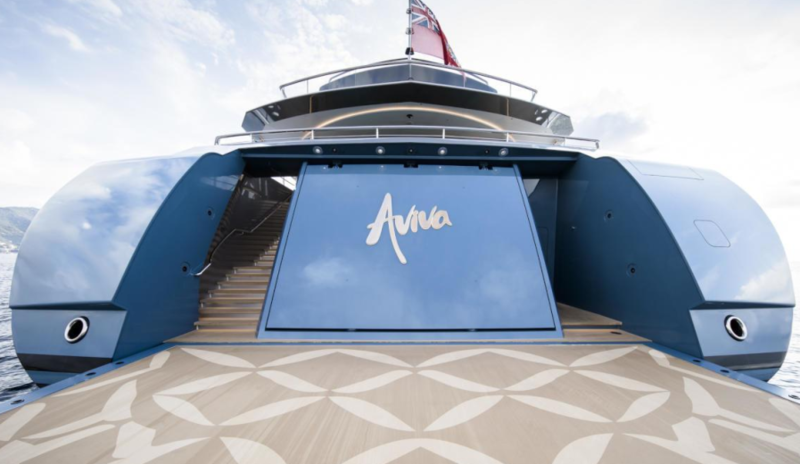 Aviva is the only boat in the world that has 4,966 tones and design by Abeking & Rasmussen. 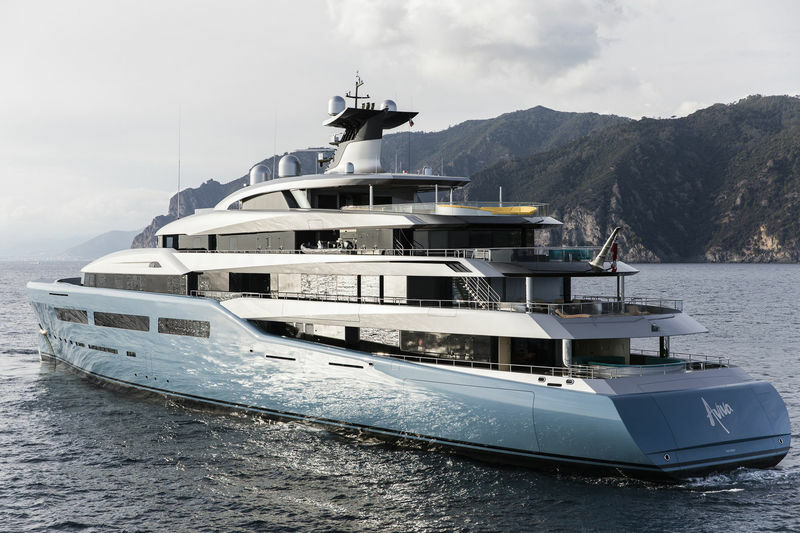 Designers improve crew circulation and add side decks plus the boat hasthe grand beam of 17.24 meters. 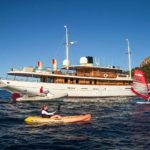 This superyacht has the large guest and master suites, and the owner of this beauty is Joe Lewis, British businessman and major shareholder in Tottenham Hotspur Football Club. 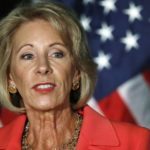 “They were, surprisingly, much less conservative than other people. Maybe it’s because of the military stuff they do,” says Toby Silverton, head of design on the project, about Aberking. Top speed of Aviva is 20 knots and the average of the comfortable cruise is 16.5 knots. 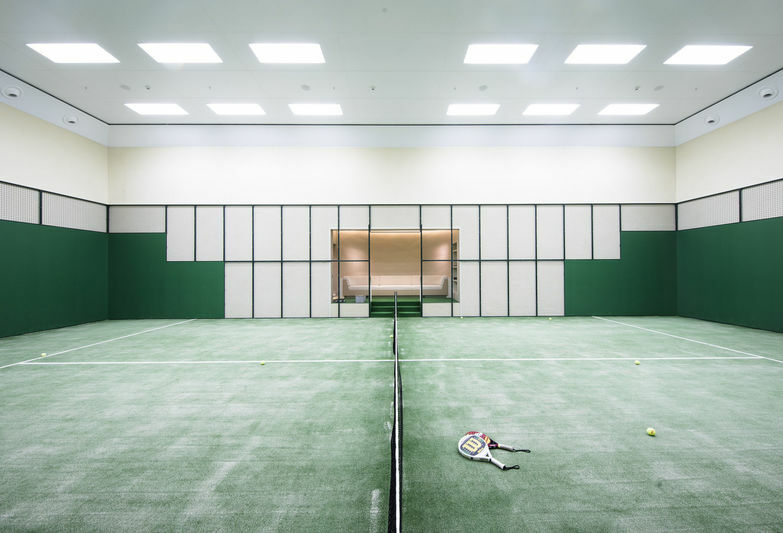 At the center of this luxurious beauty is the paddle tennis court and this kind of project might last minimum five years. The interesting thing on this boat is that rub rails are gone, stanchions replaced with glass, and crew quarters windows are grouped in long lines. Superstructure silver elements are picked in a much darker shade and got the slope of the boat more rake because those elements disappear a little in those shade. The most important detail on the boat is the bow which is impressive but it has a practical purpose. It will help with the rogue waves. 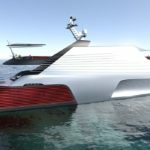 “I talked to the captain of the QE2 who went through a wave, and what happens is all the wheelhouse windows smash, they had four foot of water, you then lose all your instruments and they had no ability to control the boat, communicate or navigate,” says Silverton, head of design on the project. 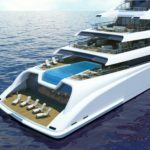 Aviva has watertight doorsand the two forward VIP cabins for relaxing, navigating and control of the boat. The main challenge for building this enormous ship was safety and stability, and elimination of rolling motion was top 1 priority. Aviva has two MTU 16V4000 M73Ls, which put out 2,880kW eachand her official cruising speed is 14 knots but Silverton says that she runs most comfortably at 16.5 knots. 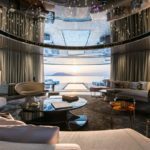 The interior is also a super luxury for this beauty, in the living room you have comfortable sofas, games table and piano and plenty of light from the glass panels. Every room has a balcony and every door to the deck is leather clad. “Also, in the ceiling, all the girders are very thick because the unsupported length is just enormous, „says Hering. When you are entering the grand saloon, you will be blown away with the art collection of the owner, and behind the hidden door, you will enter the cinema. The most beautiful room at the boat is the master suite with the Corian bathtub and wardrobe inspired by Chanel. 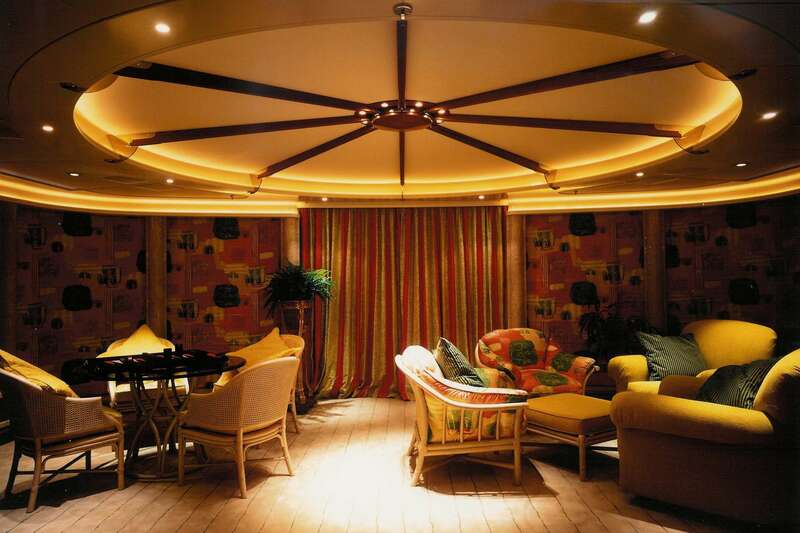 On this boat there is not a dining room, you have to arty bistros with the intimate atmosphere and delicious meals, and for a large meeting, there is a conference room next to bridge deck office. 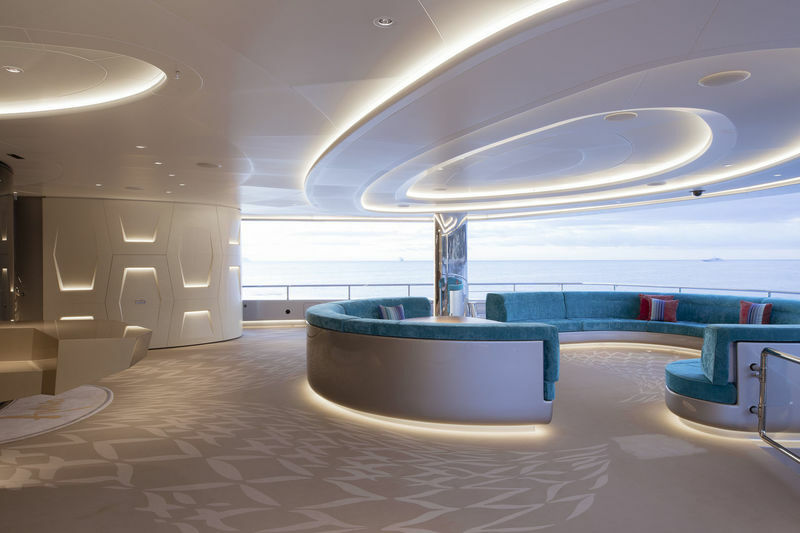 “For this boat, we decided to use a lot of new materials, even for the base materials, because of the big curved ceiling spaces,” says Hilmar Westermeyer. We can say that the whole interior is a mixture of leather and lacquer because there is not any detail in the wood. The color palette is neutral with materials like onyx, marble, and leather. One of the staircases on the Aviva is from leather and glass spiral from the ceiling to the floor.